Historically, sherry was the last drink of the night…in one case literally. In “The Cask of Amontillado” the unfortunate Fortunato is buried alive in a tomb of sherry barrels. Our homage to Edgar Allan Poe’s macabre (and local) tale begins its life as 100% Malted Rye from Deer Creek Malthouse, ages in new American oak, and is finished (like the late Fortunato) in Spanish Sherry Casks. 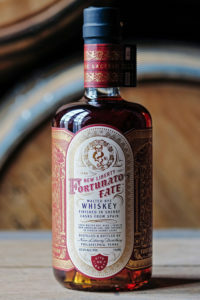 Despite his fate, Fortunato means “good fortune.” So does our whiskey.